​King Charles Street, London SW1A 2AH U.K. The Hundred Days refers to the timely arrival of American men and materials, as well as the bravery of French, British, and Commonwealth soldiers who helped to turn the tide on the Western Front. Many of these battle-hardened troops had endured years of terror in the trenches, clinging to their resolve through poison-gas attacks and fruitless assaults across no man's land. Finally, in July 1918, they and their American allies did the impossible: they returned movement to the western theatre. Using surprise attacks, innovative artillery tactics, and swarms of tanks and aircraft, they pushed the Germans out of their trenches and forced them back to their final bastion: the Hindenburg Line, a formidable network of dugouts, barbed wire, and pillboxes. After a massive assault, the Allies broke through, racing toward the Rhine and forcing Kaiser Wilhelm II to sue for peace. Professor Gary Sheffield MA, PhD, FRHistS, FRSA, is, with Professor Stephen Badsey, co-director of the First World War Research Group. He was educated at the University of Leeds (BA, MA) and King's College London, where he studied for his PhD under the supervision of Professor Brian Bond. He started his academic career in the Department of War Studies, Royal Military Academy Sandhurst, before moving to King's College London's Defence Studies Department, based at the Joint Services Command and Staff College, Shrivenham, where he was Land Warfare Historian on the Higher Command and Staff Course, the UK's senior operational course for senior officers. Awarded a Personal Chair by KCL in 2005, he took up the newly-created Chair of War Studies at the University of Birmingham in 2006 before moving to the University of Wolverhampton in September 2013. 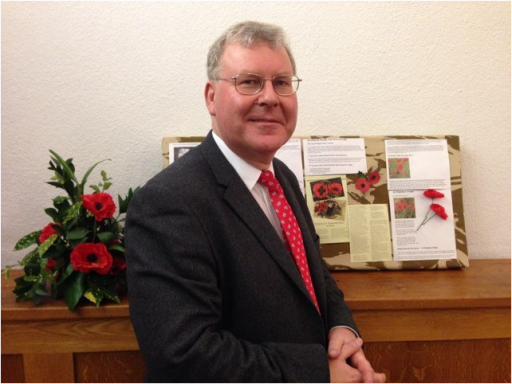 Gary Sheffield is an internationally-recognised expert on the First World War, especially the role of the British army. His research interests are, broadly, Britain in the age of total war, 1914 to 1945, and military history, especially land warfare, since Napoleon. He is currently writing, for Yale University Press, Civilian Armies: The Experience of British and Dominion Soldiers in the Two World Wars.